Atar Gull Average 0.00/5 - out of 0 total votes. Africa, 1830. Atar Gull, a strapping young slave, finds himself on a certain Captain Benoîts ship, on his way to the West Indies to be sold. This is no ordinary slave. He is the son of one of the great tribal kings, an athlete, a warrior. He will come at a high price, and not just in terms of money. 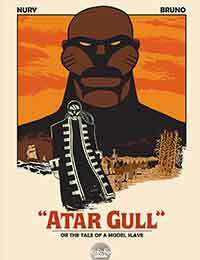 After a long, unimaginably tough trip, Atar Gull winds up in Jamaica in the service of a plantation owner. It is with this plantation owner that his tragic destiny is entwined. This is a staggering adventure narrated through a superb 88-page volume that will be sure to haunt you long after youve turned the last page.